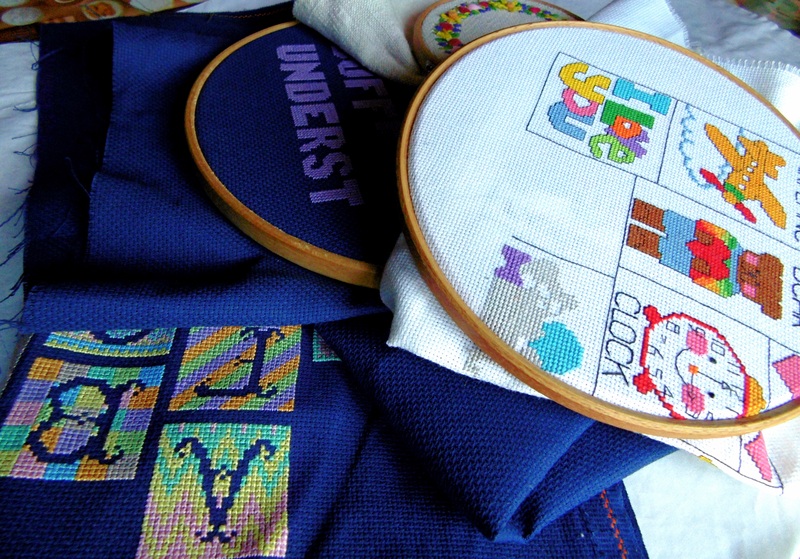 Before I went on my sabbatical I had less time to stitch, so I used to be a lot more disciplined. I generally didn’t start a new project until I had finished the work in hand. Now we’re in Italy though all that seems to have changed. However, I want to speak in defence of the WIP pile! 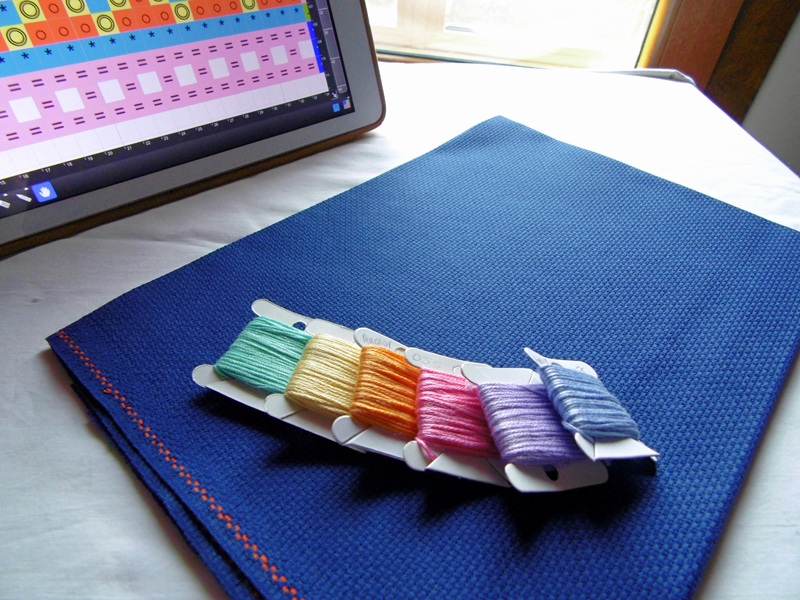 I now manage to get a little stitching done most days and I have found that flipping between a number of different projects actually helps me to maintain creative momentum. I don’t think it will work for me when we return home and I start working again but, for now, I am finding it most effective to have about three projects bubbling away at any one time. Having finished my Spring wreath last week I felt entirely justified in starting something new! The other benefit of a WIP pile is that sometimes it pays to work on something that captures the moment. It gives you an energy boost, for example, to make something with rich, warm colours in the middle of winter or to make something in honour of a special event. Sometimes it is worth simply going with the flow when it comes to inspiration! Well…..that’s what I told myself when I put together this colour combination. Lovely, soft, springlike colours! I couldn’t resist. 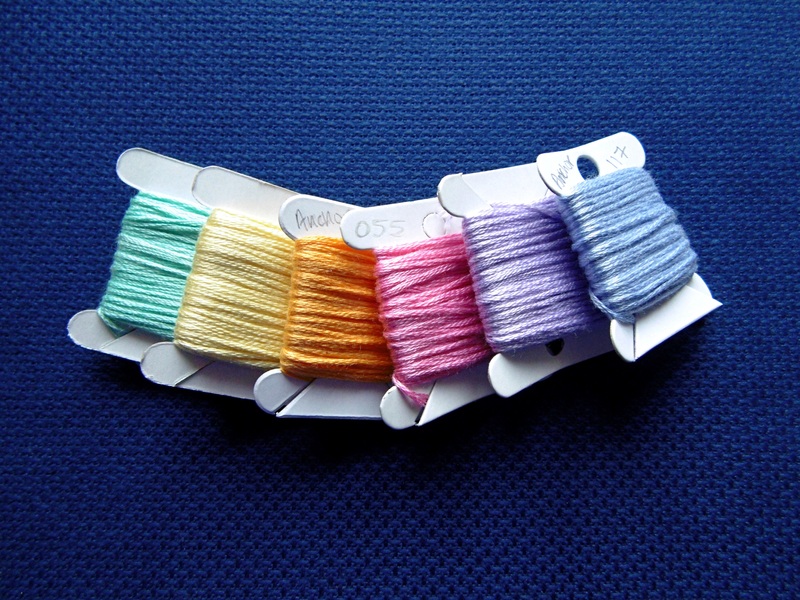 I want to make another fair isle inspired cross stitch using this much softer palette. It might not work – what made the previous patterns work, in my opinion, were the strong colours. We shall see! I am currently drafting up the pattern. I will let you know how I get on. For now, I am finding that having a few projects on the go is beneficial. I would imagine however, I could quite easily find myself with too many. I wonder if there is an optimum number?! What about you? Do you have a WIP pile? How many projects are you working on? My wip pile is always massive. I have terrible will power to finish things. Those colours look gorgeous so I can totally understand adding to your pile.